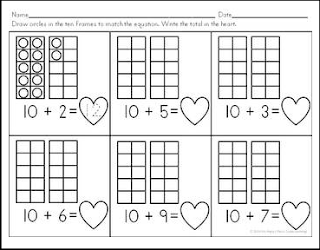 Let your students have a little fun while practicing their teen numbers this Valentine's Day season! 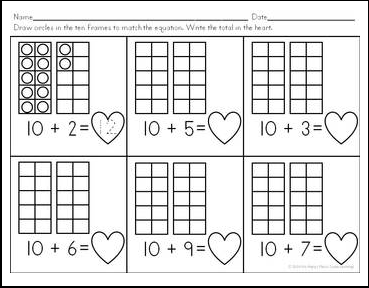 These three worksheets are designed to help develop number sense and beginning place value concepts in kindergarten and first grade students. CCSS.Math.Content.K.NBT.A.1 Compose and decompose numbers from 11 to 19 into ten ones and some further ones. CCSS.Math.Content.K.CC.A.3 Write numbers from 0 to 20. Represent a number of objects with a written numeral 0-20. CCSS.Math.Content.1.NBT.A.1 Count to 120, starting at any number less than 120. In this range, read and write numerals and represent a number of objects with a written numeral. For more teen number products, click here!